The U.S. Dollar Will Collapse Within 24 Months! Got Gold (or Silver)? Investors have been shuffling currencies around faster than a game of three-card Monte as the true value of world’s paper money is being exposed but in the end, the only real winners would have walked away from the table long ago, their pockets stuffed with the only currency that really matters – gold. Gold is Still Dirt Cheap! The collapse of the U.S. dollar will likely push gold prices to over $5,000 an ounce [which] means that, even at $1,400 an ounce, gold is still dirt cheap. [As such,] every investor should own gold right now as the ultimate store of wealth that will protect hard work and savings. 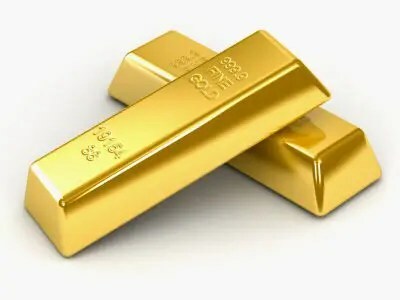 As the world begins to learn the true nature of the world’s funny money, masses of new buyers will come flooding into the gold market and this surging demand will be the catalyst that launches the price of gold into the stratosphere. Most investors are unaware, but the gold market is incredibly small. There have only been about 175,000 tonnes of gold ever mined [which amounts to] only 0.9 of an ounce of gold for every person on the planet. That’s why they call it precious… [and] when the oceans of fiat money suddenly try to take a part in the gold market, the law of supply and demand will fundamentally force prices much higher. While the price of gold will soar and get most of the attention, it’s silver that typically outperforms gold, dollar for dollar invested. In certain instances, when gold prices have doubled, the price of silver has outperformed gold by a factor of more than six-to-one! Investors should also consider owning silver in preparation for the time [when] the government declares a “bank holiday” as the crisis in the banking sector exacerbates. During a bank holiday checks and credit cards would no longer be accepted as payment for goods and services [and silver coins would be ideal for] buying day-to-day items such as bread and prescriptions drugs. I also recommend keeping some cash on hand at all times. I’m not recommending stuffing the mattresses; but it’s probably smart to keep a few thousand dollars in 1s, 5s, 10s and 20s around the house. U.S. Silver Eagles would also be very useful in such an event, as they are considered legal tender in the United States and could be used to purchase groceries. The early adopters — those who wisely purchased their positions in gold and silver before the masses come — will sleep well at night while others fret as they watch the purchasing power of their savings evaporate like water in the Sahara. Previous February Update: How Mean Will the S&P 500's Future Regression to Trend Be? Those who stored up food, made a garden, able to collect rain water, and some precious metals will sleep well at night. Thanks Cathy. At least some of us understand what is happening before our eyes. TOO BIG TO FAIL???? The author predicts the collapse of the Dollar within the next 24 months. On the other hand, he recommends to keep plenty of small denomination Dollar bills on hand tacitly implying that these Dollar bills will keep their purchasing power. You can not have it both ways. Either the Dollar collapses meaning all Dollar bills become worthless or Dollar bills will maintain their currency function in which case the Dollar can not collapse. Paper dollars are worth paper. But you still work and sell for them so someone will need paper dollars even when a stick of gum sells for $1,000,000,000,000,000 because without that trillion dollar bill or a dime in silver you will not be able to buy that gum. Someone may take a short piece of copper wire as well you never know.